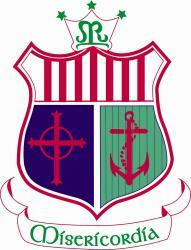 The Board of Management of Sacred Heart Secondary School invites applications from suitably qualified teachers for the following fixed term teaching position, which may arise for the coming school year 2019-2020 : Maths, ICT & Learning Support Experience in teaching Leaving Certificate Higher Level Maths and Learning Support . A willingness to contribute to extra-curricular activities is desirable. Applications, together with confirmation of Teaching Council Registration, proof of qualifications and Garda Vetting to: The Secretary, Board of Management, Sacred Heart Secondary School, Clonakilty, Co. Cork on or before 5.00pm on Friday 3rd May 2019 to recruitment@sacredheartclonakilty.ie Any appointment will be subject to registration with the Teaching Council, Garda vetting and completion of a statutory declaration and form of understanding in compliance with DES regulations. Short-listing may apply. Only short-listed candidates will be contacted. All appointments are subject to the approval of The Director of Redeployment and to sanction by the DES. Sacred Heart Secondary School is an equal opportunities employer. The Board of Management of Sacred Heart Secondary School invites applications from suitably qualified teachers for the following fixed term teaching position, which may arise for the coming school year 2019-2020 : PE, Maths & SPHE Experience in teaching PE, Maths & SPHE is required. Experience in teaching Learning Support is an advantage. A willingness to contribute to extra-curricular activities is desirable. Applications, together with confirmation of Teaching Council Registration, proof of qualifications and Garda Vetting to: The Secretary, Board of Management, Sacred Heart Secondary School, Clonakilty, Co. Cork on or before 5.00pm on Friday 3rd May 2019 to recruitment@sacredheartclonakilty.ie Any appointment will be subject to registration with the Teaching Council, Garda vetting and completion of a statutory declaration and form of understanding in compliance with DES regulations. Short-listing may apply. Only short-listed candidates will be contacted. All appointments are subject to the approval of The Director of Redeployment and to sanction by the DES. Sacred Heart Secondary School is an equal opportunities employer.